Darlow Smithson Productions has hired Belfast producer Anne Stirling to run a Northern Ireland office that will house its growing factual slate. DSP’s Belfast office, which will open in the coming weeks, will be run by Anne Stirling, who joins the indie as head of DSP Northern Ireland. Last year, Stirling closed down her Belfast-based production company, Stirling Film and Television Production, after 20 years. 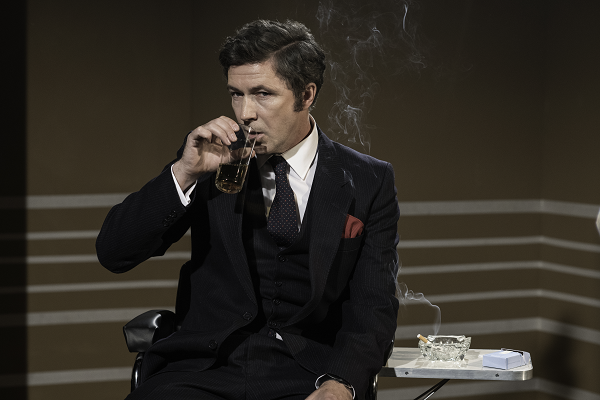 Its productions included Cracking Crime and How Low Can You Go for RTE and 6 Degrees for the BBC. Endemol Shine UK-owned DSP is currently recruiting for several development roles to work alongside Stirling to develop and produce a broad range of factual output including factual dramas, documentaries, and factual entertainment series. The first production to be made from the new regional office will be the third and fourth series of Ill Gotten Gains for BBC Daytime, amounting to a total of 30×45’ and 10×30’ reversions. The series, commissioned by BBC controller of programming and daytime Dan McGolpin and commissioning editor Lindsay Bradbury, follows organised crime units and police forces as they close down British criminals by seizing their assets and selling them at auction. 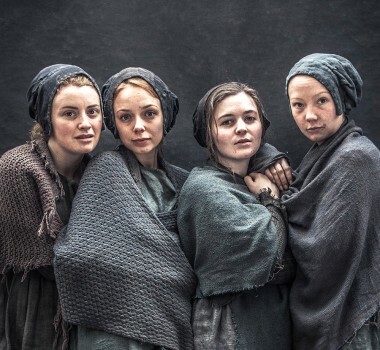 DSP joint managing director Emily Dalton said the indie has a long-established relationship with Northern Ireland, having previously produced two BBC2 dramas in Belfast: We’re Doomed! The Dad’s Army Story and the recent biopic Dave Allen at Peace. “We have established great relationships with local talent, as well as Northern Ireland Screen, so the logical next step was to invest regionally with the view to making more of our content outside of London,” Dalton said. Her appointment comes just weeks after Endemol Shine rolled factual label Tigress Productions into DSP as part of an efficiency drive at the production group. DSP is currently in production with a range of first-run and returning series for BBC1, BBC2, ITV, C5 and Netflix. The usual stroll-around-a-parish format takes on extra poignancy when the programme revisits the Caribbean island in the wake of hurricane Irma. 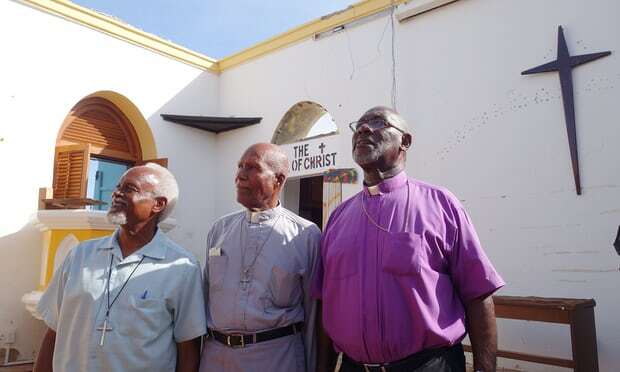 “An Island Parish (BBC2) went to Anguilla a while back, and found a relaxed, close community with a lot of churches. Now it returns to the island in the wake of that blew the place to bits last September. The programme’s usual gentle-stroll-round-a-parish format takes on a little extra poignancy. Some of the churches are broken, many houses were destroyed, the infrastructure is in tatters, some parishioners don’t have water, most people don’t have electricity. And tourists – the island’s main source of income – aren’t coming, because they can’t get there, or the hotel they were going to stay in doesn’t exist any more. Tim the British governor (I know, still!) only arrived just ahead of Irma. Now he’s rushing around the place helping to put things back together, at the same time as trying to get some cash out of the British government for rebuilding. Do we want to see where the foreign secretary stayed when he came over, Tim says? No! Don’t spoil it … too late, this is the bed in which Boris Johnson slept when he blew in briefly after Irma. Now I’m trying not to imagine him in his jimjams, or maybe no jimjams, in the Caribbean … Thanks Tim. It wasn’t just the human population that suffered and lost homes. Irma destroyed most of the island’s turtle nests as well. Not this little one’s though, a rare hawksbill hatchling – even rarer now – scuttling down what used to be the beach to the ocean. Maybe when it comes back in 20 years or so, to start a family of its own, Anguilla will be back to normal. “2017 was not a good year for Anguilla. 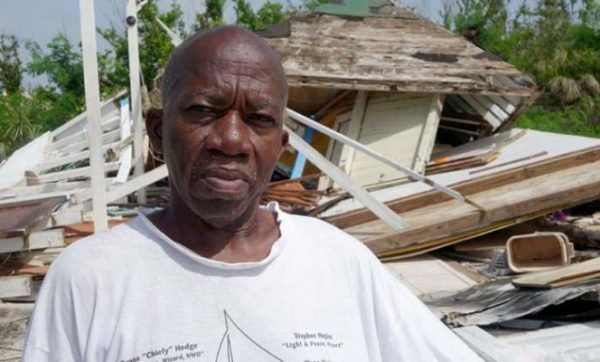 In September, Hurricane Irma devastated the small Caribbean island. Homes were left without water or electricity for weeks and schools and businesses were destroyed, while many people discovered everything from their kitchen appliances to their roofs had disappeared. The new British governor, Tim Foy, had taken up his post just a fortnight earlier and had the unenviable task of co-ordinating Britain’s response to the crisis – which included a flying visit from Boris Johnson. As we see here, Anguilla’s human population remained surprisingly stoical about the disaster, but the wildlife suffered too – nearly all turtle nests were destroyed in the hurricane.